Jeremy M. Goldberg is the Director of Communications for AMGlobal Consulting; Andrew Mack is a former World Bank official and Principal of AMGlobal Consulting. They blog at Andy’s Global View. Rwanda? !There it was again, the same puzzled look–a combination of concern and disbelief ?when I told a colleague that I’d been working in Rwanda. After all, what do we in the outside world know about Rwanda? A small country with a history of unspeakable violence, but a place of opportunity? A leader of Africa’s march into the 21st century? Well my friends, its time to think again. For all its challenges, Rwanda is by nearly all accounts making tremendous strides, working to re-build into a modern, knowledge-based economy. In fact, a number of Rwanda-watchers these days, see the country on track to be the “Silicon Valley of the East-Central Africa.” But it certainly did not have to be this way. In a region where so much has gone wrong, what went right in Rwanda? Everything started with people, and the Government’s decision to invest in people–especially techies. After the genocide in 1994, Rwanda needed to rebuild the country’s tech infrastructure, but had a shortage of trained local people to get the job done. 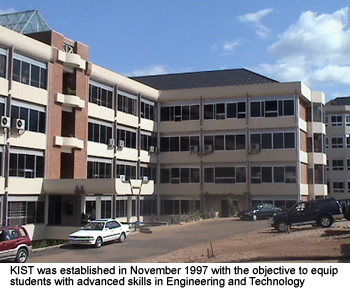 To address the issue, in 1997 the Government opened the Kigali Institute of Science and Technology (KIST). Since then KIST has graduated thousands of Rwandan tech experts and is now recognized as a leader in the development of biogas technology and renewable energy. Investments in the nation’s technical expertise was only one part of a larger blueprint that was to become the country’s game plan for development, Vision 2020. President Kagame was eager to move his country from an agricultural based economy to a creative and competitive economy. But he knew that for this to happen he’d need international investors. With a new openness to investment and a series of reforms to create a business-friendly climate found in few African nations–Rwanda was described as a top regional reformer in the recent World Bank “Doing Business” survey–it didn’t take long to attract telecommunications and software companies. Terracom brought wireless broadband internet to Kigali; Microsoft is bringing e-learning classrooms, and just this month, a partnership was announced with the One Laptop per Child program (the $100 laptop scheme). In fact, Rwanda is saying the proof is in the fiber. Fiber?! Yes, fiber. Rwanda has become one of the most wired countries in the region, and others are taking notice? As a testament to this expertise, last year African countries unanimously voted Rwanda the headquarters of the East Africa Submarine Cable Project (EASSy). This $280 million dollar project will serve Botswana, South Africa, Kenya, Tanzania, and Lesotho. A Rwandan will serve as the Chair of its Working Committee. In fact, if East Africa were an IT village, Rwanda might now be seen as one of the village elders. Perhaps the most encouraging thing about this entire story is that the reasons for Rwanda’s success are no mystery. Rwanda’s IT-focused approaches work and can work elsewhere. If you don’t yet believe me, believe the Economist–they recently reported that Rwanda is well on its way to achieving several of the Millennium Development Goals. And, Rwanda is not the only example of IT turning around an emerging market country. I could easily wave the Mauritian flag. Mauritius, a small island nation in the Indian Ocean, is now an IT powerhouse attracting growing numbers of foreign investors. Would you believe its GDP in 2005 was over $6 billion? It’s true. Why shouldn’t these new technologies be used to help modernize the government and infrastructure in Sierra Leone? Freetown is already looking to Rwanda as an example of the possibilities, with IT as one of the central objectives in their own “Vision 2025”. Could IT help trade for land-locked countries like Burundi and Uganda as they work to enhance exports through Tanzania and Kenya? The answer is of course yes. IT could help improve supply chain management, expedite port clearance delays, and increase the reliability of customs operations? All things that experts touched on at a recent World Bank mGovernment seminar. In a region of where so much has gone wrong, Rwanda is an example of how much can go right! Investment in people, clarity of vision and a focus on technology have given the country new, entrepreneurial options for the future. Especially given the challenges of its past, we should recognize a country so focused on its potential, one that is looking over the horizon, beyond simple rebuilding. So, three cheers for Rwanda, the “Singapore of Central Africa”–a model for post-conflict nations on the continent and beyond.